"numerical accidents making the Z boson effectively protophobic"
I'm excited, I just love low-energy numerical accidents and this is new to me. (For another numerical accident connecting Z boson with the strong force, see here.) The accident here is that 1 - 4 sin^2 theta_w is small. 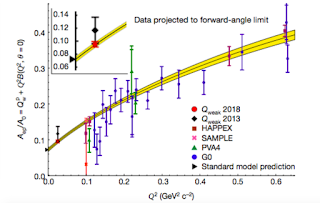 Plugging the new physics scale M* = 100 TeV in the formula for (delta) QW and assuming strong interaction (g* ~ 4 x pi), yields a deviation of (delta) QW = 0.00394. 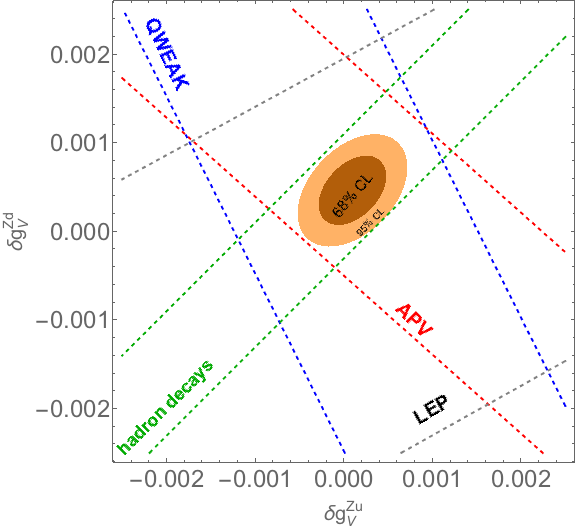 But this value has the same magnitude as the current experimental uncertainty of the proton weak charge, placed at (delta) QW = 0.0045. Is there sufficient resolution here to make claims about BSM physics at 100 TeV? I meant the next generation experiments should be sensitive to that scale. 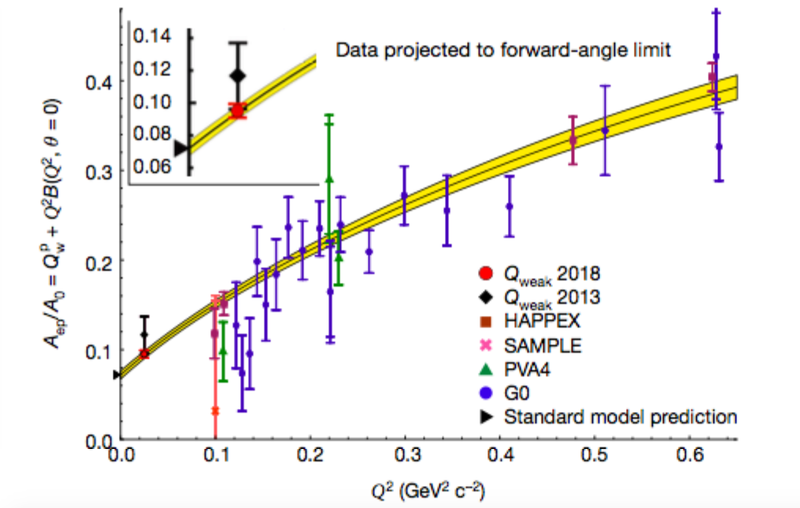 The P2 experiment in Mainz is expected to reduce the error on QW by a factor of five.